“The Department of Athletics at Western Carolina is aware of the allegation against this member of the men’s basketball team," Athletic Director Randy Eaton said in a prepared statement. 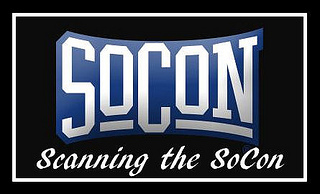 Scanning the SoCon continues with preseason previews of all 11 Southern Conference teams. Today's preview is Furman. Friday's preview is Samford. Furman posted the league’s worst overall record last season, winning just seven games (7-24) and just 3-15 in league play, which placed the Paladins at the bottom of the South Division. That led to the dismissal of Jeff Jackson after seven seasons, and now at the helm is Niko Medved. Medved comes back to Furman, where he served two separate stints under Jackson’s predecessor, Larry Davis, as an assistant. Medved was an integral part of Colorado State’s NCAA Tournament club last season, which won 26 games and was the No. 8 seed in West region, helping the Rams to back-to-back NCAA Tournaments under two different head coaches, in Tim Miles and Larry Eustachy. The Catamounts tip off their season with an exhibition game verses Brevard College on Saturday, November 2d in Cullowhee. Prior to the season starting, let get to know them a little better. 2012-13 (Junior): Played in 29 games and started 13 ... Led the team with 39 blocks averaging 1.3 blocks per game which ranked her sixth in the Southern Conference ... Has 106 blocks in her career ranking her third in the Western Carolina record books, needing 27 blocks to break the career record of 130 ... Led the team in rebounds 18 times and twice had double figure rebounding performances including a career-high 13 rebounds against UNCG (12/01/12) ... Averaged 5.5 points per game shooting 37.2 percent from the field. 2011-12 (Sophomore): Played in 30 games ... Recorded a career-high five blocks against Furman (01/09) ... Had a season-best 43 blocks ranking her seventh in the WCU record books for blocks in a season .... Currently has 67 blocks in her career also ranking her seventh in the record books for blocks in a career ... Ranked third on the team for rebounds, in a season with 111, averaging 3.7 per game. 2010-11 (Freshman): Played in 29 of 31 games ... Missed two games due to injury ... Tied with teammate Caitlin Hollified for blocks with 24 ... Career-high three blocks against Appalachian State on January 31 ... Career-high 12 rebounds against UNCG ... Averaged 1.6 points and 2.9 rebounds per game. Prior to Western Carolina: Four-year letterwinner at Southern Vance High School ... As a senior, named First Team All-Conference, MVP and earned the Extra Effort Award ... Also as a senior, in volleyball, posted 595 kills and broke the most attempts and most kills record her junior and senior year ... First Team All-Conference in volleyball and track ... 3A Track and Field Long Jump State Champion ... Also named First Team All-Conference her junior, sophomore and freshman year. Personal: Shauna D. Terry ... Daughter of Ervin Terry and Tracey Hargrove. Catamount junior J.T. Poston is ranked number one nationally in men's golf rankings according to GolfStat (Oct. 29). Poston recorded four Top Five finishes in the first four events this season, claiming individual medalist honors in back-to-back events to open the season. According to available research, Poston's No. 1 ranking is the highest ever achieved by a WCU men's golfer during a season. "J.T. 's play this fall has been very special. Starting the fall season with a victory is what all players dream of during the summer. Not only did he accomplish that, but he won the next event as well," said WCU first-year head coach Bryant Odom. "The tournament this past weekend at Kiawah's Ocean Course was arguably the best field we will see all year and J.T. further proved he is one of the top players in the nation by finishing second." Odom added, "Throughout my career, I have had the privilege to play with and to coach a lot of great players, many of which are now winners on the PGA Tour - and J.T. belongs right at the top. His much deserved attention and ranking proves that WCU golf is moving in the right direction and is a place where players can reach their potential and shine." Scanning the SoCon continues with preseason previews of all 11 Southern Conference teams. Today's preview is UNCG. Thursday's preview is Furman. At this time last year, UNCG was the trendy pick to be the contenders to the long time Davidson-controlled throne of "Best in the SoCon". They returned the SoCon leading scorer, best 6th man and had a manageable schedule. Also they had hired a new, young coach which had excited the fan base. It was going to be the Spartans year. Except that it wasn't. What transpired was an unmitigated disaster. UNCG managed just 2 non-confernce wins (Winston-Salem State & Lees-McRae). At times they seemed disinterested, lost and generally seemed to not like each other very much. Also every break or close game that went the Spartans way in their 11-5 finish to the 2011-2012 season, went the opposite way in 2012-2013. 2012-13 (Junior): Played in 28 games ... Averaged 4.0 points per game shooting 48.9 percent from the field ... Scored a career-best 13 points against Elon (02/04/13) ... Scored in double figures twice... The 113 points were a season-best in her career. 2011-12 (Sophomore): Played in 30 games and started three ... Scored 84 points averaging 2.8 points per game ... Scored in double figures once, 10 points against Georgia State (11/29). 2010-11 (Freshman): Played in 28 of the 31 games ... Hit first three pointer of her career against Charlotte ... First block of her career against UNCG on February 7 ... Averaged 2.5 points and 2.0 rebounds per game. Prior to Western Carolina: As senior, named All-Conference, NCBCA All-District...averaged 20 points, nine rebounds, 3 three steals, and three assists...As junior, named Herald-Sun All-Area...averaged 19 points, 10 rebounds, three steals, and six assists...As sophomore, named Herald-Sun All-Area...averaged 15 points, 10 rebounds three steals and two assists...The school's all-time leading scorer and rebounder...member of Honor Roll...Recipient of Carolina All-Stars AAU Top Player Award and the National Scholarship Athlete Award. Personal: Kristen R. Lyon ... Daughter of John Lyon, Jr. and Desiree Lyon ... Has two brothers, John Lyon III and SAMUEL and one sister, Justine. Scanning the SoCon continues with preseason previews of all 11 Southern Conference teams. Today's preview is Davidson. Wednesday's preview is UNCG. Everyone around the league is familiar with De'Mon Brooks, Chris Czerapowicz, Tom Droney, and Tyler Kalinoski. Also returning are senior Clay Tormey, junior Ali Mackay, and sophomores Jordan Barham, Jake Belford, and Connor Perkey. The Wildcats lost Jake Cohen, Clint Mann, Nik Cochran, and JP Kuhlman to graduation, Mason Archie to transfer, and Youssef Mejri. Those four seniors scored well over 4000 points. They'll be missed. But the Wildcats return 6 of their top 10 scorers, 3 of their top 4 rebounders, and their leading assist to turnover guy. Brooks, Czerapowicz, Droney, and Kalinoski have all started games for Davidson. 2012-13 (Junior): Played in 28 games and started 11 ... Ranked second on the team in points averaging 6.6 points per game and second on the team in total points with 184 ... Shot 31.5 percent from the field ... Ranked third on the team in three pointers with 18 ... Had 24 assists and 19 steals. 2011-12 (Sophomore): Played in 31 games and started 17 ... Scored a season-best 205 points ... Ranked second on the team in scoring averaging 6.6 points per game ... Scored in double figures six times including a career-high 19 against North Carolina Central ... Second on the team in assists with 31 and ranked third for steals with 38. 2010-11 (Freshman): Named to the 2011 Southern Conference All-Freshman Team ... Played in 30 games and started 34 ... Got the first start of her career against Davidson on January 5 ... Scored a career-high 15 points against Elon ... Led the team in scoring twice ... Scored in double figures eight times ... Ranked fourth on the team averaging 5.9 points per game. Pryor to Western Carolina: Played at Wake Forest Rolesville High School ... As a senior, averaged 14.9 points, 2.9 assists, 3.2 rebounds per game and 2.5 steals per game ... Named Cap-7 Most Valuable Player, McDonalds High School All-American nominee, All-District First Team and All-State First Team .... As a junior earned All-District Second Team and Team MVP. Personal: Rena S. Wakama ... Daughter of Rosana Oba ... Has two sisters, Yvonne and Mina. The Southern Conference joined SouthernPigskins.com in naming Richard Sigmon as the football Special Teams Player of the Week it was announced by the conference today. Junior kicker Richard Sigmon connected on two field goal attempts, including the game-winner in overtime, as Western Carolina topped Elon, 27-24. Sigmon booted a 39-yard kick in the extra session to give the Catamounts the victory. Western Carolina scored a touchdown with nine seconds left in regulation and Sigmon converted the extra point to tie the contest at 24. In addition to making both field goal attempts and three PATs, the Mount Holly, N.C., native averaged 43.5 yards on four punts, including a long of 53. Once again Purple & Gold congratulates Richard on both these honors. Western Carolina running back Garry Lewis was named the football Freshman of the Week by the Southern Conference. Running back Garry Lewis provided a spark for Western Carolina as the Catamounts downed Elon, 27-24, in overtime. Lewis carried 16 times for 72 yards and caught five passes for 58 yards in the win. His 130 all-purpose yards all came after halftime. Lewis caught all five of his passes on Western Carolina’s final drive of regulation, which culminated in a 6-yard touchdown pass from Troy Mitchell to Karnorris Benson to tie the game. 2012-13 (Junior): Played in 35 games and started 25 ... Averaged 3.4 points per game shooting 33.6 percent from the field ... Scored in double figures once ... Led the team in rebounds twice. 2011-12 (Sophomore): Played in 29 games and started 23 ... Had a stellar sophomore campaign, upping her scoring average from 1.4 as a freshman to 5.1 her sophomore season ... She more than tripled her scoring output her sophomore year with 147 points, in contrast to 41 as a freshman ... She scored a career-high 14 points against Charleston Southern (11/14) ... Scored in double figures five times. 2010-11 (Freshman): Played in 29 of 31 games ... Career-high two blocks against College of Charleston on February 19 ... Led team in rebounds once ... Averaged 1.4 points and 1.9 rebounds per game. Prior to Western Carolina: Four-year letterwinner at Paideia High School ... As a senior, helped lead her team to a 25-4 record and reached the Georgia-A Elite Eight ... Named All-State Honorable Mention, All-Region, Atlanta All-Metro Team, Team MVP and GHSA North Georgia All-State and to Dekalb County All-Star Team ... As a junior, named All-Region and team ended with a 19-11 record and a Georgia-A Sweet 16 finish ... As a sophomore, team posted a 24-7 record and a was Georgia-AA state runner-up. Personal: Alexandra Anne Abraham ... Daughter of Ansley, Jr. and Linda Abraham ... Has one brother, Ansley Abraham III ... Father Ansley played basketball at Florida State University. Scanning the SoCon continues with preseason previews of all 11 Southern Conference teams. Today's preview is Western Carolina. Tuesday's preview is Davidson. and the first trip back to the NCAA Playoff since 1996. Western Carolina finished 9-9 in SoCon play (14-19 overall) last season, losing a total of 6 games by 4 or less points, “I think it was just the nature of our team. We were more inexperienced and didn’t have any seniors a year ago,” Hunter told NBC Sports. But a lack of seniors will not be a problem for the Catamounts this season. This year’s Catamount team also returns all five starters from last season, including player of the year candidate, senior Trey Sumler. Sumler was an all-conference selection last season averaging 18.4 points per game (second in the SoCon), scored in double figures 29 times, while averaging nearly 38 minutes per game. Sumler will be joined in the backcourt by senior guard Tom Tankelewicz, one of the conference's better shooters from behind the arch (80 3-pointers), and senior guard Brandon Boggs (10.3 ppg) who made 22 starts last season. Senior forward Tawaski King (11 ppg, 6.3 rebounds pg) started in all 33 games and scored in double figures 21 times along with junior guard James Sinclair (7.4 ppg, 4.4 rpg) who made 27 consecutive starts for the Cats, round out the probable starting five. The Catamounts only added one player in the offseason, Charlendez Brooks, a post player from Byrnes High School in Duncan, S.C - (6-9 / 270 - forward) . Last season, Brooks averaged 7.2 points and 8.1 rebounds per game. He was selected to the All-Region II 4-A basketball team in March of 2012, helping Byrnes HS to a playoff victory over defending 4-A state champion, Gaffney, in the first round of the South Carolina state playoffs. Brooks was listed as the third-best recruit out of the state of South Carolina . He played AAU basketball for the SC Raptors Elite. At the time of Brooks signing, Hunter said, "With our entire squad returning for next season and only having one scholarship to offer for the 2013 class, we targeted a talented big man as our priority. We are very pleased and excited that Char will be joining our basketball family. At 6-9 plus and well-over 200 pounds, he has good size, length and natural strength." "Our players have had the best offseason workouts and improved their basketball skills and bodies to a man of any team I have had at Western Carolina”. Hunter said of this season’s returning Catamounts. “They are an excited and hungry bunch of Catamounts. We will need to carry this “I will not be denied” attitude throughout the season because we again have a very challenging schedule." This season’s schedule includes seven games against teams that made it into postseason play in the 2012-13, including three games against NCAA tournament teams. The Catamounts open the season with Wittenberg on November 8 in the Ramsey Center. Coach Hunter spent 13 seasons as the head coach at Wittenberg and in the 1976-77 season, led them to the NCAA Division III National Championship and was named NCAA Division III Coach of the Year. This year’s schedule includes out of conference games against Oregon, Virginia Tech, Kent State, Niagara, Wright State, and Georgia. The Cats also face Big South foes UNC Asheville, Liberty and Coastal Carolina. In the conference schedule, Georgia Southern, Wofford, Davidson, and Furman are the four teams the Cats will play only once this season. The Cats will be in the Ramsey Center 13 times during the 2013-14 season where the Cats have won 54 of the last 69 games back to the 2007-08 season, including 36 of the last 48 (.750) SoCon games in the same stretch. The Cats could have three players over the 1,000-point career plateau before the end of the season. Sumler crossed that threshold last year and now sits at 1,439 points. Brandon Boggs has 945 career points and Tawaski King has scored 749 points up to this point. The Cats are one of the most experienced teams in the conference and scoring should not be a problem. The problem may be the defense, Western’s man-to-man defense has resulted in a high number of costly fouls, many times costing the Cats a game on the free throw line, as well as lacking in interior defense. Josh Mendenhall should be able to provide help in the interior, after being injured most of last season. Best case, a late season run at both Elon and Davidson for a regular season crown and a bye in the conference championships, worst case – another mid-pack finish for the Cats. Junior kicker Richard Sigmon was named the Special Teams Player of the Week by SouthernPigskin.com. Sigmon nailed a 39-yard field goal in overtime to secure Western Carolina’s first win against a conference opponent in over two seasons. He connected on both of his field goal attempts, the other from 41 yards out. Sigmon perfectly capped the Homecoming Day game as the Catamounts overcame an 11-point deficit in the fourth quarter to tie the game. In the overtime session, Sigmon split the uprights on a 39-yard field goal to win the game and set off a near mob-scene on at E.J. Whitmire Stadium / Bob Waters Field. "I told Sigmon, they are going to call time out" said Coach Speir in the post game interview. "Put a smile on your face and a song in your heart and enjoy the moment. This is what kickers grow up dreaming about. I just slapped him on the head and he grinned at me. He's struggled some this year. I am proud of (Richard) Sigmon and that whole front line. That kick was true through." Purple & Gold congratulates Richard on this honor. Post by "Pride of the Mountains" Marching Band. 2012-13 (Junior): Played in 28 games and started 18 ... Averaged 2.6 points per game ... Ranked second on the team in assists with 25 leading the team in assists in six games ... Scored a game-high nine points against Wofford (01/05/13) ... Also had 11 steals on the season. Prior to Western Carolina: Spent one season at Mineral Area Junior College ... At Mineral Area JUCO averaged 7.6 points per game, shot 40 percent from the floor, hit 41 three pointers, and shot 72 percent from the free throw line last season ... Also dished out 6.4 assists per game, which ranked her seventh in the National Junior College Athletic Association ... Haden was also named Honorable Mention All-Region ... Transferred to Mineral Area JUCO from University of Missouri St. Louis. Personal: Hana LeAnn Haden ... Daughter of LeAnn Snider ... Has two sisters, Cassidy Haden and Maycee Moore and one brother, Clayton Moore. 2012-13 (Sophomore): Named Southern Conference Student Athlete of the Week ... Played in 30 games and started three ... Averaged 4.3 points per game ... Shot 31.4 percent from the field and averaged 2.4 rebounds per game ... Scored in double figures four times and led the team in scoring four times. 2011-12 (Freshman): Played in all 31 games ... Ranked second on the team in points scored and scoring average, with 157 points and averaging 5.9 points per game ... Led the team in three pointers made with 45 and ranked eighth in the Southern Conference ... Overall, hit 63 field goals with 45 being three pointers ... Scored in double figures six times including a career-high 20 points against Georgia Southern in the first round of the Southern Conference Tournament. Prior to Western Carolina: Four-year letterwinner at Sullivan South High School ... As a senior, voted First Team All-Conference and All-Region ... Invited to Tennessee East/West All-Star game, Southwest Virginia All-Star and East Tennessee Elite Team ... Averaged 17.5 points, 9.3 rebounds and 3.5 blocks per game ... In total, was a First Team All-Conference and All-Region selection all four years .... Joined the Sullivan South 1,000 Point Club as a junior and was also named to Conference All-Tournament Team ... Named Freshman of the Year ... As a junior averaged 16.2 points, 8.5 rebounds and 2.3 blocks per game ... Also a four-year letterwinner in volleyball and was a three-time First Team All-Conference selection, twice named All-Region First Team and team MVP as a senior. Personal: Makensey Chey Campbell ... Daughter of Ken and Pattie Campbell ... Has one sister, Chantai. Scanning the SoCon continues with preseason previews of all 11 Southern Conference teams. Today's preview is Wofford. 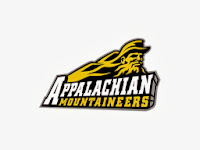 Monday's preview (10-28) is Western Carolina. After putting together one of the most impressive runs in the SoCon in recent years, Wofford came back to earth a bit last year. A 13-19 record (7-11 in the SoCon) and a first round exit from the SoCon Tournament (early on the first day, which makes it even worse somehow) left Terrier fans wanting more. The key for the Terriers will be finding more offensive production. A year ago Karl Cochran took about 40% of the teams shots, and was not a particularly great shooter. They need to find a way to create more open looks for Cochran so that his shooting percentage can go up. Lee Skinner and Aerris Smith may be the two most important players for that. Skinner plays aggressively down in the paint. He will need to be a big time scorer. He is only 6-6, but small big guys have been important to the Terriers in the past. Prior to Western Carolina: Led Louisburg Community College to the NJCAA National Championship ... Named the national tournament MVP assisting her team to a 32-3 record in 2012-13 ... Averaged 15 points, four rebounds and two assists per game ... Ranked third in the nation in free throw percentage with 89 percent. The Catamounts picked up their third 2014 verbal commitment. Devin Peerson from Milton, Ga joins Ashley Williams & Alex Hicks in making a verbal commitment to WCU Basketball. "Devin has a nice feel for the game as he does a great job of directing traffic and placing his teammates in position. Devin, has a solid and developing mid-range game and has range on his jump shot to 20 feet"
Scanning the SoCon continues with preseason previews of all 11 Southern Conference teams. Today's preview is Elon, tomorrow's preview is Wofford. Elon’s final year in the Southern Conference presents their hoops squad with their best chance to grab their first NCAA berth. Elon will be transitioning to the Colonial Association in 2014-2015, leaving the basketball squad one final chance to represent the Southern Conference in the March Madness NCAA tournament for all eyes to see. 2012-13 (Sophomore): Played in 30 games and started 29 ... Averaged 4.9 points per game and shot 26.8 percent from the field ... Led the team in assists with 48 ... Ranked second on the team in steals with 35. 2011-12 (Freshman): Named to 2012 Southern Conference All-Freshman Team ... Played in 31 games and started 29 ... Averaged 5.1 points per game tying her for fourth place for scoring average on the team ... Scored in double figures four times including a career-best 12 points against College of Charleston (02/01) ... Had 54 assists, which lead the team and fourth on the team with 34 steals. Prior to Western Carolina: Four-year letter winner at Charlotte Catholic High School ... Went over 1,000 points in her career her junior year, the first time in school history a player went over 1,000 points scoring as a junior ... As a senior, named MVP for MEGA 7 Conference, First Team All-District and Second Team All Mecklenberg ... Named MVP for MEGA 7 as a junior as well ... First Team All-Conference as a freshman and sophomore ... In her senior year, averaged 15.4 points, 6.2 assists, 5.7 rebounds and 2.8 steals per game ... Team finished first in conference her freshman through junior years and second her senior year ... Reached semifinals of the regional tournament as a junior ... As a junior, played basketball in Limages, France facings teams from France, Spain and the Czech Republic. Personal: Ali Elizabeth Lane ... Daughter of James and Peggy Lane. Western Carolina Head Women's Basketball Coach Karen Middleton along with junior guard Makensey Campbell talk about the progression of preseason practice and opening the season in two weeks. Scanning the SoCon continues with preseason previews of all 11 Southern Conference teams. Today's preview is Chattanooga, tomorrow's preview is Elon. championship. My how things have changed in the past 12 months. Coach Charlton “CY” Young was let go after a disappointing 14-19 season that saw a high of beating Davidson and Charleston back to back and a low of ending the season with 2 losses against Davidson by an average of 31 points. To replace Coach Young the Eagles looked to somebody the SoCon is familiar with and hired former Charleston assistant Mark Byington. Byington, who spent last season as an assistant at Virginia Tech, was the interim coach at Charleston two seasons ago when Coach Cremins had to retire mid season. Due to the change and the lack of good basketball seen in Statesboro in a while, most Georgia Southern fans are torn between 8 conference wins and “don’t have any” when asked what their expectations are for the 2013-2014 season. And it’s for good reason because there are far more questions than answers heading into the season. 2012-13 (Sophomore): Played in 13 games ... Averaged 1.8 points per game and shot 29.2 percent from the field ... Had seven steals and four assists. 2011-12 (Freshman): Played in 16 games ... Hit four field goals and scored nine points, also hit one three pointer. Prior to Western Carolina: Four-year letterwinner at Fort Chiswell High School ... As a senior, helped lead team to a district regular season title and tournament championship, averaging 18.7 points and 5.4 assists per game along with shooting 84.6 from the free throw line and 43.8 from three point stripe ... She was also named District Player of the Year, First Team All-Region, Second Team All-State and First Team All Times as a senior... For her career, scored 1,575 points (second most for boys or girls basketball in school history) averaging 16.5 points and 4.7 assist in her career ... As a junior named District Co-Player of the Year, First Team All-Region, Second Team All-State ... In her sophomore season, voted First Team All-District, Second Team All-Region C ... Second Team All-District as a sophomore ... As a sophomore, set a school and state record shooting 54.5 percent from the three-point line, also set a school record with 34 consecutive free throws ... Set a single game school record for points in a game with 42 as a junior ... Also played volleyball, named First Team All-District as a junior and senior as well as Honorable Mention Region C.
Personal: Nancy Elaine Thacker ... Daughter of John and Patty Thacker ... Father John played baseball at Virginia Tech. Scanning the SoCon continues with preseason previews of all 11 Southern Conference teams. Today's preview is Chattanooga, tomorrow's preview is Georgia Southern. For much of the last three years, Coach John Shulman's support eroded and many Moc fans clamored for a new coach. As a long time supporter of Coach Shulman, it was hard to stomach. But the last two years results also were hard to stomach too. It was time for some new blood in the coaching ranks, if for no other reason than to re-energize the fanbase. Enter Coach Will Wade. Without a doubt, the new coaching staff has brought new energy to the Mocs fan base. Around the conference, the Mocs have been referred to as a sleeping giant. Based on early results in recruiting and the like, Wade appears to be awakening that giant. 2012-13 (Freshman): Played in six games ... Scored first points of her career against Chattanooga (02/23/13) and also recorded two blocks. Prior to Western Carolina: As senior named to District 8 Second Team, averaging 12.5 points and 2.4 blocks per game ... Averaged 10 points and eight rebounds per game her junior year, helping lead her team to a 21-6 record and a conference tournament title ... Has been a part of three-straight tournament titles while playing for North Stanly High School. Personal: Lindsey Kristen Burleson ... Daughter of Jeff and Kathy Burleson. Scanning the SoCon continues with preseason previews of all 11 Southern Conference teams. Today's preview is The Citadel, tomorrow's preview is Chattanooga. - Biggest positive from the 2012-13 campaign: The Citadel swept Furman! 2012-13 (Freshman): Featured in the 2013 NCAA Women's Basketball Tournament Championship program ... Played in 30 games ... Averaged 2.0 points per game shooting 29.9 percent from the field ... Pulled down 85 rebounds ... Scored in double figures twice including a career-high 16 points against Davidson (03/04/13) where she also pulled down a career-best eight rebounds. Prior to Western Carolina: Named 2012 Region 8 - 5A Player of the Year...Named to Georgia All-State team...selected to participate on GACA All-Star team - Junior & Senior year...2012 Naismith Awards Flourish Scholarship recipient...Named All-state Honorable Mention....During 2011-12 season, Erika led her high school team to a 30-1 record, winning the Region 8 - 5A Champions and advancing to Elite 8 in Georgia's 5A State Tournament...Named 2011 Upward Classic MVP...Erika finished her senior year at Parkview High School with 12.1 ppg, 11.2 rpg, 2.0 apg. Awarded,Team's 2012 Most Valuable Player. Achieved High School career milestones of 1000+ points and 1000+ rebounds. Leading Gwinnett County in rebounds. 3 x Scholar Athlete. Played AAU ball for Georgia Elite. Personal: Erika Kamil Joseph..Daughter of Kirby and Early Joseph...Has one brother, Myles Lehman Joseph. NOTE: Erika Joseph is brining back the Western Carolina retired jersey No. 25, that was shelved in 2006 in honor of Western Carolina University Athletics' Jayne Arledge ... In the summer of 2012, Joseph asked Arledge if she could bring the number out of retirement because it was the only number Joseph had worn in her prevous playing career ... Arledge agreed and Joseph will be wearing the number at Western Carolina for the first time since 2006. "I'm proud of what these guys are doing, and they gave us a chance to win against a real good football team," said head coach Mark Speir during post-game comments. "It hurts. I told my guys I know it hurts, but it's something where we've got to keep that sick feeling in your stomach and dig a little deeper in practice, work a little harder, and eventually we're going to win those ball games." "Every week, these guys have gotten better in some area," Ayers said about the Catamounts during post-game comments. "These guys really care about one another. These guys really care about their coaching staff. And these guys really care about turning this program around. That's why they fight so hard." 2012-13 (Freshman): Named to the 2013 Southern Conference All-Freshmen Team ... Led the team in scoring averaging 7.4 points per game scoring a team best 223 points and shooting 33.6 percent from the field ... Also paced the team in three-pointers hitting 35 for the season for a team-best 31.3 percent from the field ... Played in 30 games and started 13 ... Led the team in scoring six times ... Scored in double figures nine times ... Clocked in a career-best 25 points against Furman (01/23/13) ... The 25 points scored by Simpson was the most points scored by a women's basketball since 2009. High School: Finished her career with the second-most career points in Western North Carolina history for a girls player (2,693) ... Named the Western North Carolina Athletic Conference Player of the Year this past season after averaging a WNC-best 27.6 points a game to go along with 3.6 rebounds, 2.0 assists and 2.0 steals ... Chosen to play in the East-West All-Star basketball games in 2012 ... Had a standout junior year at Franklin High School, being named the Female Athlete of the Year in Western North Carolina, All-District Player of the Year, All WNC Player of the Year and 3A WNCAC Player of the Year ... Ranked first in scoring in North Carolina and ninth nationally, averaging 30 points per game, and was selected to the Coaches All-State Team ... Helped lead her team to a 2011 3A WNCAC Tournament Championship ... Also a stand-out volleyball player for Franklin High School. Personal: Lindsay Paige Simpson ... Daughter of William Simpson and Anna Shields ... Has one brother, Drew ... Mother Anna played volleyball and basketball for Western Carolina University from 1980-84 ... Grandfather, Clarence Wilke, played football for the Catamounts in the 1950's. The Catamounts picked up their second 2014 verbal commitment today. Ashley Williams from Wilson, NC joins Alex Hicks in making a verbal commitment to WCU Basketball. "Williams is a nifty and crafty wing player with good athleticism and skill. He has good length and has the ability to beat you off the dribble or consistently knock down perimeter jumpers. Offensively, he is always on attack mode and his various offensive skill sets makes him hard to defend. Williams is a willing rebounder and has the ability to start and finish a fast break with his ball handling and passing skills. Williams is an outstanding young man with a great attitude and is one of those camp players that are piers enjoyed playing with. He plays within the structure of the game and takes advantage of his size/skill set but is also a great teammate. Williams already sports D1 offers and watch for that list to grow over the summer." Prior to Western Carolina: Averaged 18 points, 15 rebounds, and five blocks per game as a junior ... Named to the 2010-11 All-Conference for the Metrolina Athletics Conference and to the NCISSA 2A All-State Team. Personal: Brianne Raquel Mack ... Daughter of Gloria Mack ... Served as her high school's team manager for softball. The 2013-14 Appalachian State Mountaineers are a team that will have more expectations and more hopes this season than before. 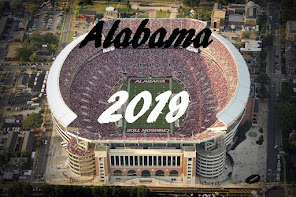 With how the season ended on an uptick last March, there will be the hope that the team can pick up the school after the drop off this fall on the gridiron. There's also the ever-present cloud of Jason Capel's contract being up after this season. With a 44-49 record in three years to go along with falling APR scores, constant turnover and the Sun Belt move upcoming, there's an uphill battle for this coaching staff. 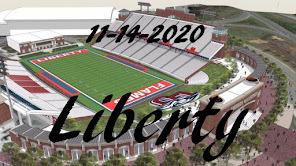 However, there are factors that will play in their favor such as a core returning unit, a favorable schedule, a strong freshman coming in and Capel's improving coaching abilities that could help this team surprise some people. The Catamounts tip off their season with an exhibition game verses Brevard College on Saturday, November 2d in Cullowhee. Prior to the season starting, let get to know them a little better. Prior to Western Carolina: Class A Player of the Year and South Fulton Player of the Year in 2013 ... Helped lead team to three state championship games ... Team was 28-4 in 2013 ... As a senior, she averaged 14 points, 11 rebounds, three steals and three blocks per game. Personal: Daughter of Tashika Cullins. Both the SoCon coaches and media preseason polls were released today, and both picked the Western Carolina Catamounts to finish in third place this season. The Cats did receive 1 first place vote in the coaches poll, Elon finished with 7 first place votes and 86 points, while Davidson finished second, with 3 first place votes and 90 points. In the media poll, Elon had 14 first place votes, and Davidson received 12. WCU returns all five starters from last season, along with a total of 12 letter-winners that finished 9-9 in the SoCon, for a third place finish in the North Division. This season, with the departure of Charleston to the CAA, the league will not compete in the 2 division format, but all teams will compete in one division, made up of tall 11 teams. However, each team will play only 16 conference games this season, rather than the standard 18 as in the past. Each team will play four pre-selected SoCon teams only once this season, 2 at home and 2 on the road. All other teams will be played home and home. Trey Sumler has been selected to the 2013-14 Preseason All-Southern Conference Team by the SoCon coaches. This is his third preseason all-conference selection as a Catamount. Last season, Sumler averaged 18.4 points per game, while shooting 43.8 percent from the floor, including 36.2 percent from the 3-point line and 83.3 percent from the free throw line. In 2010-11, Trey was selected as the SoCon Freshman of the Year by both the coaches and media, as well as named a member of the All-Freshman Team. Last season he was selected to the first team All-Conference Team and All-Tournament Team. Purple & Gold congratulates Trey on his selection this pre-season. 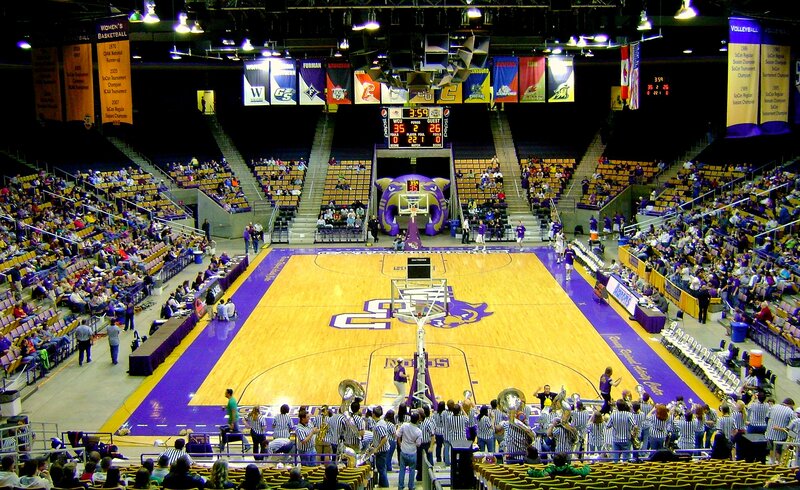 Catamount Basketball tips off on November 8th in Cullowhee. The Cats will open play against Wittenberg in the Ramsey Center. Coach Hunter spent 13 seasons as the head coach at Wittenberg, and led them to the NCAA Division III National Championship. Let's get to know this team a little better, now moving on to highlight Catamount seniors. 2012-13 (Junior): Started in all 33 games for the Catamounts ... Averaged 31.7 minutes, 11 points, 6.3 rebounds and 0.6 blocks per game ... Had 50.2 field goal percentage ... Ranked in five Southern Conference stat groups ... Second in the SoCon in offensive rebounds at 2.7 per game, 89 total ... Fifth in field goal percentage, tenth in rebounding, 15th in blocks and 24th in points per game ... Scored in double figures 21 times and had two games with double-digit rebounds ... Started the season with 10 straight double-digit scoring games ... Opened the season with a double-double, 13 points and 10 rebounds at UNC Asheville (11/09) ... Scored 15 points at Western Kentucky (11/17) ... Went 8-of-11 for a season-high 19 points against Howard ... Was 6-of-9 from the floor and 6-of-8 from the free throw line for 18 points at Eastern Kentucky (12/01) ... Scored 14 points and grabbed eight rebounds against Appalachian State (12/08) ... Was a perfect 7-for-7 for 14 points at Samford (01/17) ... Grabbed nine rebounds and scored 12 points against Davidson (01/24) ... Tallied 16 points at Davidson (02/07) ... Had a career-high four blocks against the College of Charleston (02/20) ... Collected second double-double of the season with 12 points and 12 rebounds against Chattanooga (02/28) ... Ended the season with 13 points against the College of Charleston (03/09) in the SoCon Tournament. 2011-12 (Sophomore): One of only two Catamounts to start all 35 games during the season ... Averaged a career-best 7.7 points and 5.8 rebounds per game, ranking second on the team in the latter ... Shot 50.7-percent from the floor, making 109 of his 215 shot attempts ... Scored in double-digits 11 times including a stretch of five-straight in late January, early February ... Recorded his first collegiate double-figure scoring outing against Montreat College (11/15) finishing with 14 points ... Scored 16 points in 34 minutes on a perfect 8-for-8 shooting in the road win over Presbyterian (11/17) ... Posted his first collegiate double-double with 14 points and 11 rebounds at home against Elon (1/26), following it up with a second double-double with 12 points and 11 boards at UNCG (1/28) ... Pulled down a career-high 15 rebounds in the home win over The Citadel including a career-best 12 defensive boards ... Averaged 10.5 points and 7.8 rebounds per game during the four-game run in the Southern Conference Tournament to earn second team All-Tournament team accolades ... Scored a career-high 20 points with 10 rebounds in the double-overtime championship game against Davidson (3/5). 2010-11 (Freshman): Played in 32 of WCU's 33 games on the season making six-consecutive starts between the end of November and mid-December ... Averaged 3.7 points and 3.4 rebounds per game as a rookie ... Made his collegiate debut at Clemson, entering the game as a substitution at the 16:09 mark of the first half in the season-opener ... Struggled against the Tigers, fouling out after only nine minutes of playing time ... In the second game at DePaul, connected on his first collegiate field goal on a lay-up at the 16:41 mark of the first half - just 13 seconds after entering the game as a sub ... Twice recorded double-digit rebounds with 10 against Bradley (11/30) and a career-best 12 at Chattanooga (12/4), scoring a career-high nine points in the latter. Prior to Western: Averaged 12 points, eight rebounds and two blocks per game as a junior for Dublin HS and head coach Marvin Latham, helping guide the squad to a 31-1 overall record and AA State Championship ... Was a second team All-Region and All-Middle Georgia selection, while additionally garnering second team All-3-A Regional Tournament accolades ... Played AAU basketball with the Georgia Stars. Personal: Full name is Tawaski Kentez King ... Teammates and coaches call him "T-Watt" or simply "Watt" ... Is the son of Tim Ray and Tamika King. 2012-13 (Junior): Appeared in all 33 games and made 22 starts ... Started the first six games of the season ... Made 16-straight starts midway through the season ... Averaged 26.1 minutes, 10.3 points and 3.6 rebounds per game ... Scored in double figures 15 times ... Had 20 or more points three times ... Led the team in scoring four times ... Had back-to-back double-figure games against Mars Hill (11/11), 13 points, and at Witchita State (11/15), 11 points ... Had a career-high four assists in the Witchita State game ... Went 4-of-5 from three and scored 16 points at No. 13 Illinois (12/04) ... Tallied 15 points at Tennessee (12/21) ... Set a career-high with four blocks against Liberty (12/31) ... Went 5-for-5 from the free throw line against UNCG (01/12) ... Scored in double figures four straight games: 13 points at Samford (01/17); 19 points at Chattanooga (01/19); a season-high 22 points against Davidson (01/24); and 14 points against Georgia Southern (01/26) ... Had nine made field goals for a season-high in the Chattanooga and Davidson games ... Was 9-of-11 for a (81.8 %) in the Davidson game ... Tied a career-high with nine rebounds in the Georgia Southern game ... Scored in double figures at Davidson (02/07), 12 points, and at Georgia Southern (02/09), 18 points, in back-to-back games ... Had two consecutive 20 point games with a season-high 26 points against Coastal Carolina (02/23) and 21 points against Chattanooga (02/28) ... Tied season-high with nine made field goals and tied a career-high with six made free throws in the Coastal Carolina game ... Tied a season-high with four made three pointers in the Chattanooga game. 2011-12 (Sophomore): Played in all 35 games making 31 appearances in the starting line-up ... Ranked fourth on the team with 351 points scored, averaging 10.0 points per game ... Averaged 3.8 rebounds per game ... Scored in double figures 14 times including a career-high 35 points against Northern Colorado (11/25) at the South Padre Island Invitational ... Shot 12-of-23 against UNC including hitting a career-high five 3-pointers which he matched in a home win over Chattanooga (2/2) ... In addition to the 35 against Northern Colorado, also surpassed the 20-point plateau with 21 in the UTC game. 2010-11 (Freshman): Played in all 33 games starting 30 as a true freshman ... Received the team's "Catamount Attitude Award" from the coaching staff ... Ranked fifth on the team in scoring with a 7.7 point per game average while boarding 3.7 rebounds per contest ... Made his first career start in his first-ever career game at Clemson, playing 22 minutes ... Scored in double figures 11 times during his rookie season ... Shot 42-percent from the field on the year ... Averaged 1.4 steals in Southern Conference games to rank tied for 11th in the league ... Connected on his first collegiate field goal at the 3:39 mark of the first half at Clemson on a jump shot ... Was a perfect 5-for-5 from the field against No. 2 Ohio State (12/12) ... Scored a career-high 20 points in the road win over Appalachian State (2/17), burying a crucial 3-pointer with the game tied inside the final 90 seconds as WCU pulled out the five-point victory. Prior to Western: Helped guide J.L. Mann HS and head coach Jeff Craft to a 63-16 record over three seasons ... Helped the team to a regional championship and an appearance in the Upper State Finals in South Carolina as a junior ... Scored 15 points per game with six rebounds and four assists per game as a senior, earning All-Stat, All-County and All-Region honors ... Averaged 16 points, six rebounds, three assists and three steals per game as a junior, again garnering all-conference plaudits ... Was additionally named All-3-A Region 2 for his on-court performance ... scored a game-high 24 points in the South Carolina North-South All-Star game held at North Myrtle Beach High on Saturday, March 20, 2010 ... Boggs played on the North squad which lost 113-104 in overtime. Personal: Full name is Brandon Kyle Boggs ... Is the son of Anita Boggs ... Has four siblings: Delis Boggs, Jabari Beeks, Asata Beeks and Nia Beeks. Career Notes: Has 946 career points ... Seeking to become the 41st Catamount all-time break the 1,000 point mark ... Has 48 career blocks ... Needs seven to reach the top-ten for career blocks ... Played in all 101 of career games entering his senior season. Many current students at Western Carolina will not be familiar with the name Michael Cottrell. Michael is one of the top basketball players to ever come out of Jackson County and the now-defunct Cullowhee High School. How many of those students know about Cullowhee High School? Michael scored 2,503 points from 1984-87 for CHS, prior to his playing career at Western Carolina, and is now the athletic director and boys basketball coach at Hayesville High School, and is his son's basketball coach. Zach Cottrell is his son. Zach is a sophomore at Hayesville (Class: 2016), and the 6’4", 185 pound shooting guard is the proud owner of a basketball scholarship offer from Western Carolina. It's his first offer in his young high school career, but many more offers are sure to come as his graduation approaches in two years. Zach is one of the best shooters in North Carolina, has advanced ball handling and passing skills and is an Honors student, a combination that will put this young man in high demand as the recruiting battle for his services begins. 2012-13 (Redshirt Junior): Appeared in 23 games for the Catamounts ... Averaged 7.9 minutes, 1.6 points and 1.2 rebounds per game ... Played double-digit minutes six times ... Made NCAA Division I debut in the opener against UNC Asheville (11/09) Played a career-high 18 minutes in the opener ... Scored first basket as a Catamount at the 2:17 mark of the second half against Mars Hill (11/11) ... Notched first double-digit game with 12 points on 6-of-7 shooting from the floor against Furman (11/28) ... Played 15 minutes in the game ... Grabbed a career-high seven rebounds at Davidson (02/07). 2011-12 (Redshirt Sophomore): Sat out the 2011-12 season after transferring to Western Carolina in the fall prior to the season ... Took a redshirt and enters 2012-13 as a redshirt junior with two years of eligibility. Prior to Western Carolina: Played for head coach Corey Baldwin at Waycross Community College in Waycross, Ga., after concluding his prep career at Berea HS in Greenville, S.C. ... At Waycross, named to the list of Top 150 Players in the Southeast in Junior College by the Juco Journal ... Finished his freshman season in 2009-10 averaging eight points and six rebounds per game, which was second on the team and fourteenth in the Georgia Junior College Athletic Association (GJCAA) ... Led the Swamp Foxes - and was third in the GJCAA - in field goal percentage, averaging 54-percent per game ... Named by the Georgia Basketball Coaches Association (GABCA) as the NAIA/JuCo Freshman of the Year ... Led the team in blocks, totaling 41 for the season (1.37/game); High School: As a high school senior, the combo-type player averaged 15 points, eight rebounds and five blocked shots per game ... Was twice named All-Region and second team All-County, and was also selected to play in South Carolina's North/South Game.